We're looking for Android users who are happy to beta test the latest and greatest features we've got in the pipeline. Comment here if you're interested in getting involved. Would love to. Use my Brompton folding bike to commute, and often do other bike trips, often with my Beeline active. Yes! I'd love to test that ! I use beeline everyday with my Speedtrott RS800 (in Paris, France) ;-)- smartphone : Galaxy S7 Edge. Please add me to the list, long commute plenty of way points. Samsung Galaxy S5. Great, thanks, we will get you on the list! John, would you mind telling me if all is working well on your Samsung Galaxy S5? Were there any settings that you needed to change? I have a customer who is having trouble connecting her Beeline to her Samsung Galaxy S5 and I'm just wondering if you might have any tips? We've got a beta for you with the new Route Assistant ready to try out. Here's how to get it. Signed up for the above Android beta, will let you know how I get on. (ii) Reboot if the app is behaving weird. (iii) Turn on data/bluetooth/location before launching otherwise I've had it crash. Does your customer have the option to update Android? Thanks for the feedback all. All seems to have gone well and the Route Assistant is now going live for everybody! 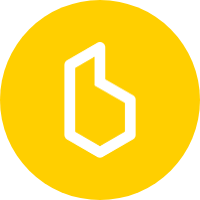 We've got some more great features in the pipeline and we'll be asking you for help again to get more detailed feedback before we release to the rest of the Beeline community. The route assistant should create grey waypoints that lead you to each waypoint you set. If it's not doing that please check your Internet connection. If you can't get it to work please send us a video/screenshots. We can't think why this release would be any slower. We know the database we use can get a little slow at times. To fix this you can uninstall the app and then install it again from Google Play. You won't lose any data; Your rides and favourites are synced to your Beeline account. Route Assitant not working for me on Android the last few days (though I vaguely remember it was working upon launch). We think this can happen when the routing service is not available. This could happen if you're internet connection is slow/unresponsive, or if there's a problem when generating the route. We're adding in some additional logic to make sure we get more details when things go wrong so we can get to the bottom of it. I've the same problem using Wifi or 4gLTE connexion on galaxy s7 ;-). Any way to check if routing service works ? maybe is not available for all countries ? Which country are you using Beeline in, Jacques? It will work in most countries. It should work fine in France. We did an update a few days ago that should pop up an error if the problem is the internet connection. Give it another go and please let us know how you get on. Thanks for your help, Jacques! Tom, I'm running 1.0.1119, in Belgium, and Route Assistant is not working at all. Can you clarify if the update was to the beta version, or in the general release (which has also had a few version increments)? There are no network issues, I'm on my WiFi home network, and there are no other issues (e.g. Beeline's Google maps are all coming in fine, incl. the satellite map). Same here in the Netherlands, also on 1.0.1119 now, never seen Route Assistant do anything else than show a short progress bar that it's trying to do something, but nothing else changes, ever. Maps and network connectivity fine. No error or other messages from the app. Thanks for feedback, all. Have you been able to get the Route Assistant working at all? We've been testing here with a few different Android phones and we haven't seen this problem. We'll look into it further and work out what's going on. Note 8 from Singapore is not working at all since day one of beta. What's the problem you're seeing? If you can send us a screenshot or video that would be great. Strava integration looks fine (seeing and selecting routes from there; haven't tried uploading a Beeline ridden activity yet). The Route Assistant is still as DOA as it has ever been; apparently non-functional additional UI toggle in top left corner of map screen on my OnePlus 5 here in the Netherlands. Quick question as a fellow computer programmer (as there must be some API call with two double/decimal lat/lon numbers involved): you do use culture invariant string unparsing on those numbers, I hope, so the (presumably UK/US culture centric) API gets these numbers handed to it formatted with decimal points instead of the decimal commas current culture settings on my phone (for Dutch) would imply for just adding those numbers to some API request string or JSON? Check this by setting any test Android device to another culture than English; any culture that uses decimal commas would do. Please see the screenshot as requested. I am pretty sure that my internet connection and GPS is working fine. Haha, @Jarno Peschier, indeed! As a fellow sysadmin, I was thinking of suggesting some more debugging on the API end to see what type of requests were coming in [from outside the U.K.] :-) This should not be rocket-science to troubleshoot. Also, logging on the server end might not be possible, as I suspect the Beeline app doing a routing call (e.g. to Google Maps or OSM) or a venue lookup (e.g. to Foursquare or OSM for locations of nearby bridges over water and railway crossings?) to get possible route points to add, and that backend is therefor not their own. Maybe they could enlighten us? Cool. Can't wait for the updated beta app! Phone in English solve the problem with route assistant !